Time-lapse image of the nucleus in MMC between 4.0 and 4.7 hpf. 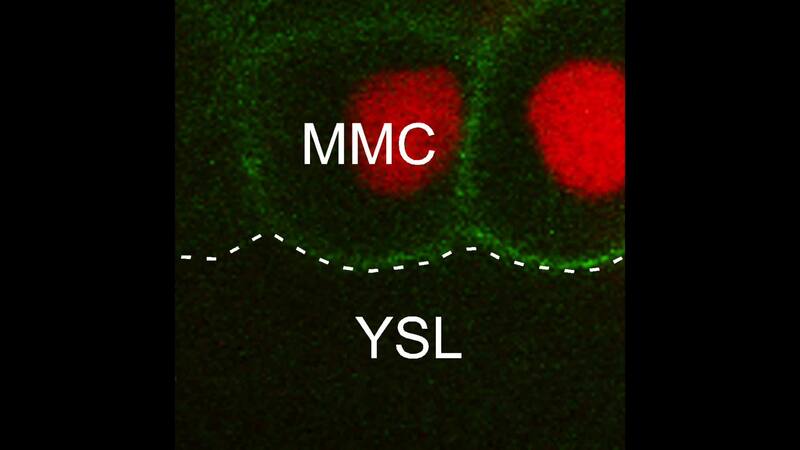 A white dotted line indicate the boundary between the blastoderm and the YSL. Thick white lines indicate DNBs.